Sleek, efficient, and responsive, TuneWave is the no-nonsense utility that lets you tune your instrument quickly and easily. 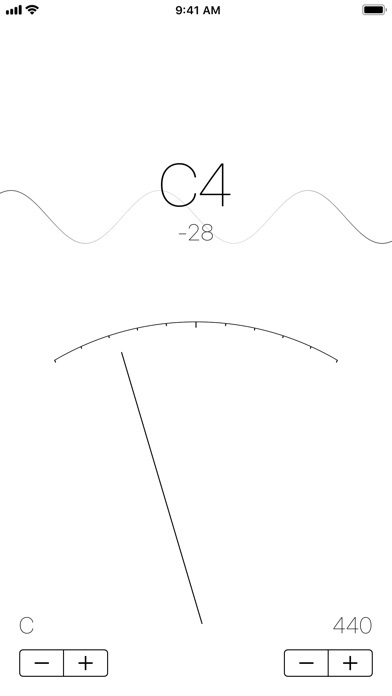 TuneWave uses a beautiful sine wave animation to give you a visual sense of focus by reducing amplitude as you zero in on your note. It can transpose if youâ€™re using an instrument that requires it, and it can even adjust the base frequency to fit your needs. Forget big dials and fake wood, just get in, get ready, and then get back to your music.